Offering you a complete choice of products which include brass valve, brass gate valve, brass check valves, brass gas valve and brass float valve. 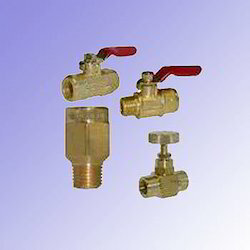 Our vast industrial expertise in this domain has helped us in offering heat resistant Brass Valve at most affordable market prices. Our professionals manufacture these valves in the compliance with industry set quality parameters. 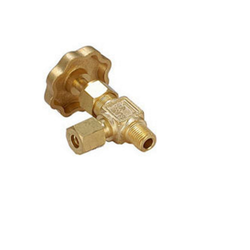 Made from cent percent brass, these valves are widely demanded among the clients for their heat resistance, fine finish and hassle-free performance. From our extensive range of products, we present our clients an array of Brass Gate Valve that is designed and developed by our highly skilled team of professionals using advanced technology and optimum quality raw material in order to meet the international quality standards. These valves have a high demand among our clients based across the Indian subcontinent owing to their superior quality, high efficiency, sturdy construction and reliable performance. Besides, we offer these to our clients in customized specifications as per their requirements at the best prices in the market. We hold an expertise in offering a wide array of high quality Brass Check Valves to our valuable customers. Precisely designed using cutting-edge machinery and sophisticated plant machinery, the offered valves are highly demanded in the market for its resistance to corrosion, excellent performance, minimum maintenance, and easy operations. Available with us in all the standard sizes, the offered valves can be customized as per the requirements of our customers. 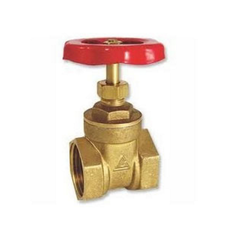 We are one of the prominent manufacturers, wholesalers, and exporters of a wide collection of excellent quality Brass Gas Valve. Available with us at a highly reasonable market price, the offered valve is used for effective controlling of the flow of various fluids and gases. To ensure high standards of quality, the offered valve is manufactured using latest technology and cutting edge machinery. With the able assistance of our skilled team of, we are engaged in offering high quality Brass Float Valve at nominal market prices. 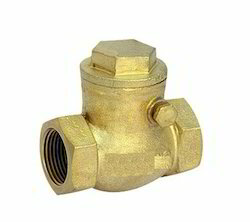 Offered valves are precisely manufactured in the accordance with industry laid quality parameters, using quality assured brass. These valves are widely demanded by the clients for their seamless finishing, smooth installation and corrosion resistance. 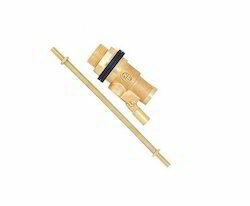 Looking for Brass Valve ?